Randomly select a Security personnel to be stopped. 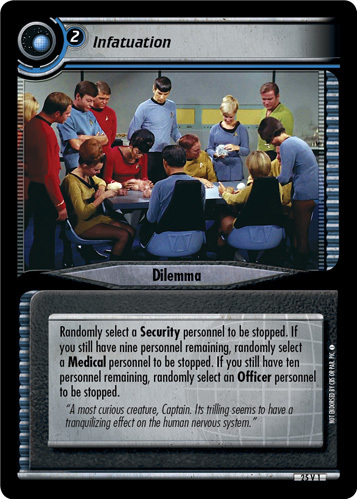 If you still have nine personnel remaining, randomly select a Medical personnel to be stopped. 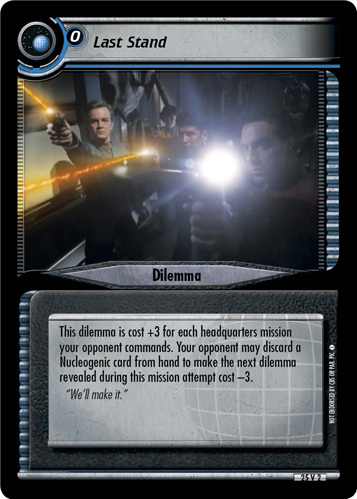 If you still have ten personnel remaining, randomly select an Officer personnel to be stopped. "A most curious creature, Captain. Its trilling seems to have a tranquilizing effect on the human nervous system."